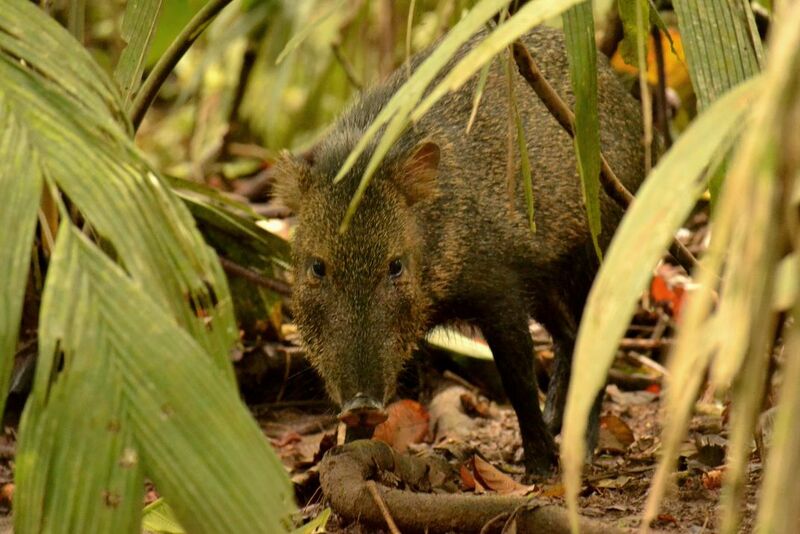 After following a wild collared peccary (pecari tajacu) for about an hour, the peccary spotted me after the wind changed directions. The peccary decided to come in for a closer look, as I stood still, kneeling on the ground. The peccary came within 5 feet of me before it realized I was right there; it barked and ran in the opposite direction in a huff. Date Uploaded: Aug. 23, 2015, 7:41 p.m.